Lock in a great price for Weir Haven Boutique Bed & Breakfast – rated 9.5 by recent guests! Thanks very much Kathleen for everything you provided us during our stay. Very comfortable, peaceful and relaxing. Her suggestions for places to visit was so helpful. We loved Canamarra Once again that is Kathleen and for those of you reading this before you visit Galway , put this on top of your list for a relaxing stay. Kathleen was wonderful! Best place we have stayed at. She was gracious, accommodating and welcoming. Wish we could of stayed longer. Absolutely beautiful!!!! The host made our stay very comfortable with a complimentary bottle of wine in our room on arrival. Loved the healthy breakfast and dietary advice. Kathleen could not have been more accommodating. The property is gorgeous, well decorated, the bed was very comfortable, and the food was outstanding. Beyond our expectations - would highly recommend. Absolutely everything, we arrived and drove up the driveway to see this beautiful thatched house, Kathleen met us at the door and made us so welcomed. My wife thought it was the most beautiful room we have every stayed in with wonderful views on both side. We have asked for a restaurant recommendation for out anniversary and were greeted but a lovely card and gift on the morning, a really nice touch. The breakfast both mornings was absolutely beautiful. Kathleen’s presentation was fabulous and food delicious. The room was stunning with the most amazing view. We can’t wait to go back. Amazing place. We wanted escapism and rest for 36hrs...and we got it here. I wish we could have stayed an extra night or two. The house and grounds are stunning. It's luxurious yet completely comfortable. Extremely clean. Fabulous food. Great views. The surrounding area is just beautiful. I absolutely recommend it. Kathleen the owner extremely knowledgeable of area and helped us greatly in planning our 2 full days in the west of rep Ireland,Thankyou again! 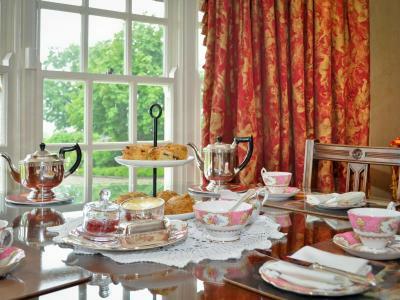 breakfast very good, Tea offered frequently, fantastic views from rooms overlooking river. Places to eat out are limited without traveling a distance but one place is Morans a famous fish restaurant which was delicious and only minutes away. Beautiful remote area. What a beautiful "country home"! From the moment you drive through the gate you are surrounded by BEAUTY. From the thatched roof to the green of the gradens and the flowers you are mesmerized by the Ireland you dreamed about. Kathleen is a lovely lady and her home emphasizes her loveliness with stunning art and a wonderful vintage decor. The Weir river runs in the back of the house with it's wild swans and beautiful sunsets! We had a wonderful stay that will be apart of us forever. 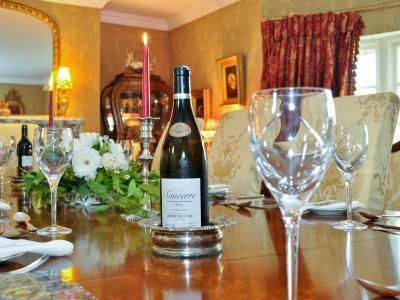 Weir Haven Boutique Bed & Breakfast This rating is a reflection of how the property compares to the industry standard when it comes to price, facilities and services available. It's based on a self-evaluation by the property. Use this rating to help choose your stay! Only 20 minutes from Galway City and located on the Wild Atlantic Way, Weir Haven is a picturesque thatched country house with luxurious and stylish interiors. 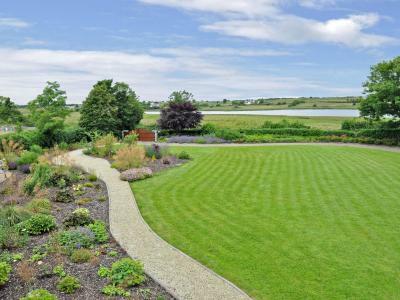 The rooms have spectacular views over the pretty cottage gardens and the Weir Estuary. 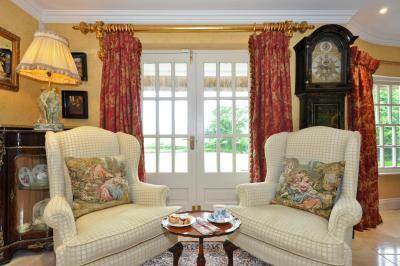 The house is furnished with carefully selected antiques, designer fabrics, and interesting pieces of art. The individually styled and spacious bedrooms offer a king-size bed and a flat-screen TV. 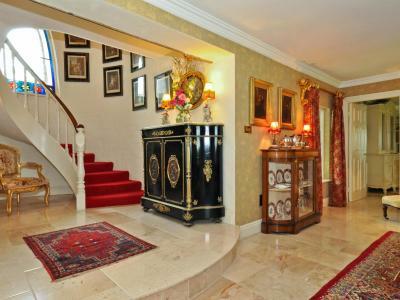 The house has a spacious drawing room, which offers stunning views. The gardens include mature trees, shrubs, and climbing roses. 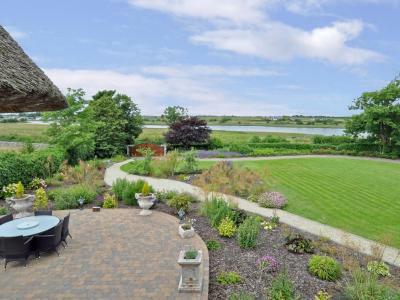 Several furnished terraces have stunning views of the Weir Estuary, across to Moran's of the Weir Oyster Cottage. Located close to the tranquil village of Clarenbridge, famous for its Oyster Festival, Weir Haven is just a 5-minute drive from Moran's Oyster Cottage. Galway Bay Golf & Country Club is only a 10-minute drive away. The Cliffs of Moher and The Burren are just over an hour's drive away. This property also has one of the top-rated locations in Clarinbridge! Guests are happier about it compared to other properties in the area. 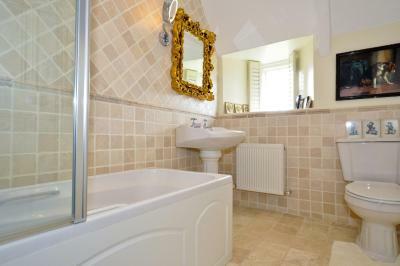 This property is also rated for the best value in Clarinbridge! Guests are getting more for their money when compared to other properties in this city. When would you like to stay at Weir Haven Boutique Bed & Breakfast? These spacious rooms are decorated in soft pastel colors with designer fabrics and an private bathroom with rainwater shower. Continental breakfast is included. House Rules Weir Haven Boutique Bed & Breakfast takes special requests – add in the next step! Weir Haven Boutique Bed &amp; Breakfast accepts these cards and reserves the right to temporarily hold an amount prior to arrival. Weir Haven Boutique Bed & Breakfast accepts these cards and reserves the right to temporarily hold an amount prior to arrival. Please inform Weir Haven Boutique Bed & Breakfast of your expected arrival time in advance. You can use the Special Requests box when booking, or contact the property directly using the contact details in your confirmation. Unfortunately, a minor issue was the bathroom door which wouldn't close properly which meant a lack of privacy. Maybe by mistake, but there was no shower gel offered (only shampoo). 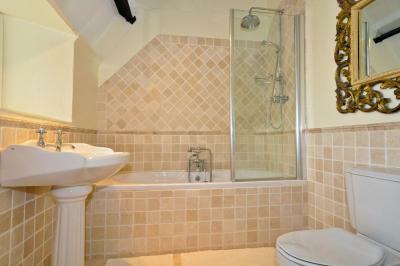 Nice accommodation located within a beautiful garden and close to the river. 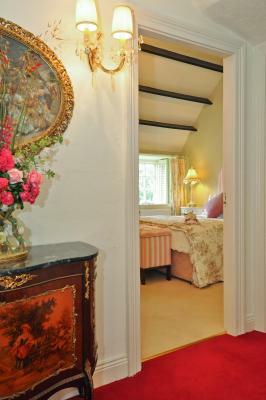 Rooms are spacious and beautifully decorated. We got very helpful tips for dinner and were also provided with plates and cutlery for our bought dinner one night. Our host lent us a Lonely Planet guide for our stay and gave us the tip to visit Connemara National Park which was a hit and which we wouldn't have visited otherwise. Breakfast was exceptional with fresh juice, great coffee, porridge and really good Irish breakfast and was served in the luxurious sitting area. Although bedroom beautiful, Bed mattress terrible no support we both eventually rolled into the middle of the bed!, could do with changing, wifi did not work but could be due to remote area. Everything was wonderful as always. 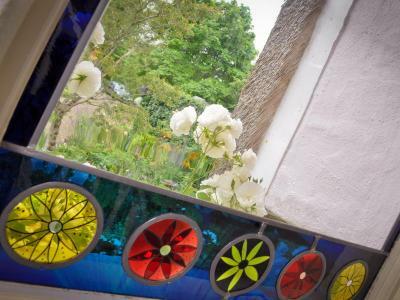 The views from every window are stunning should it be the gardens of weir haven or the surrounding countryside. 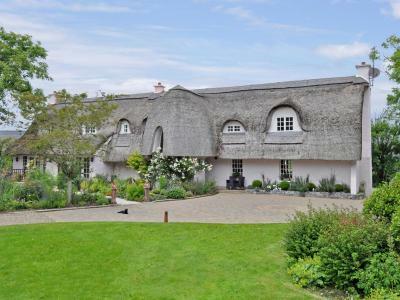 Incredible luxury thatch cottage very close to Galway (about 15 minute by car). Very comfortable, large room with private bathroom, access to a little kitchen for breakfast (also very nice, you can have breakfast when you want and even make sandwiches - only microwave available there). The owner is very kind and helpful. Very recommended.